What Are Barbiturates? Barbiturates are substances derived from barbituric acid. They act upon the Central Nervous System in a depressant manner to produce a broad spectrum of effects. These effects include anything from mild sedation to complete anesthesia. Barbiturates drugs are often prescribed as sleeping medication owing to their ability to induce drowsiness and sleep. While barbiturates definition includes a long barbiturates list of derivative or prodrugs belonging to the superclass, most official drug administration agencies define barbiturate as any drug that contains any form of barbituric acid. This includes drugs with other ingredients such as paracetamol and aspirin. Barbiturates are today infrequently used owing to their unusual ability to cause addiction and the severe withdrawal symptoms they cause. What are the Types of Barbiturates? What is a Barbiturate Overdose? 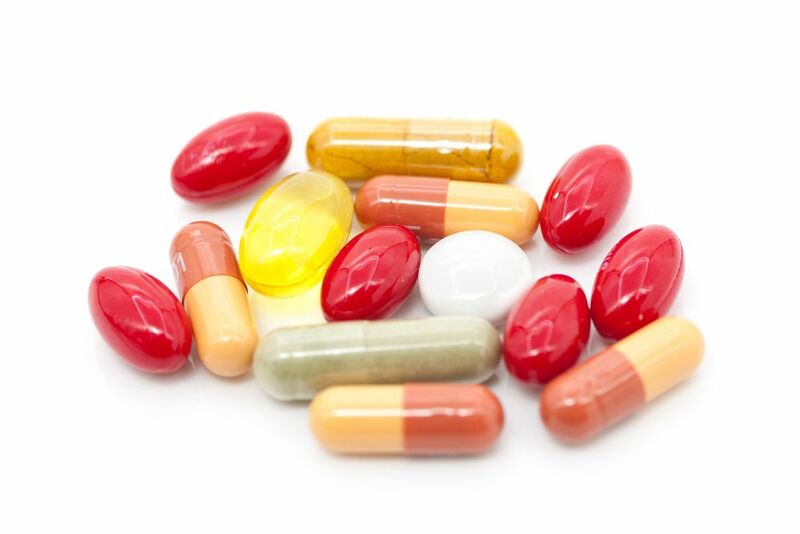 Several over the counter combination medications come with barbiturates as one of the ingredients. These drugs are often packaged as pain relief medication. This is one of the reasons why those taking such medication over a prolonged time form addictions. If such a person suddenly stops taking the drug, it can lead to life-threatening withdrawal symptoms. Some common barbiturates over the counter medications lead to tolerance and addiction, a factor that has resulted in tighter control of the substance. Most barbiturates and combination drugs containing the substance fall under this category. They are used to treat a broad spectrum of conditions and symptoms including muscle contraction headaches, anxiety, epilepsy, sleep disorders, convulsions during surgery, among others and are easily abused. Prescription barbiturates have seen a decline in use over the years because of how easy it is for a patient to get addicted. Physicians today favor less addictive benzodiazepines, which also have less severe side effects. Common barbiturates street names for prescription combinations include Downers, Goofballs, Yellows, Red Birds, Red Devils, Rainbows, Barbs, Amytal, Gorilla Pills, Seggy, Mexican Yellows, among others. Fioricet is a combination drug that contains the barbiturate butalbital in combination with acetaminophen and caffeine. The drug is indicated for the treatment of headaches and migraines. Examples are tension headaches and post-dural puncture headaches. The combination of barbiturates and caffeine make it highly addictive. Prolonged use must, therefore, be avoided. Currently known as amobarbital, sodium amytal is a barbiturate derivative mostly used for its sedative and hypnotic properties. One of the earliest abused barbiturates, Amytal lends its name as a street name to many other barbiturates sold illicitly today. Dependence on Amytal occurs with prolonged use, resulting in addiction and life-threatening withdrawal symptoms. Trade name for butabarbital, Butisol is prescribed as a sleep aid. Categorized as a short/intermediate-acting barbiturate, the substance is favored in the treatment of insomnia as the onset of effects is relatively fast. The drug is, however, rarely used today owing to its deadly interaction with alcohol. Pentobarbital or pentobarbitone are the technical names of the barbiturate traded as Nembutal. The drug has severe depressive effects, significantly reducing breathing in high doses. Nembutal is used medically for euthanasia as well as in the reduction of intracranial pressure after a traumatic brain injury or in Reye’s syndrome. Seconal is the trade name used to market secobarbital sodium, a barbiturate used as a sedative, anticonvulsant, hypnotic and anesthetic. The drug is most commonly associated with physician-assisted suicides in the United States. Seconal was widely abused in the 1960s and 70s and was associated with accidental overdoses. Withdrawal symptoms include anxiety, lack of appetite, tremors and possible death. Donnatal is a prescription combination medication used to treat intestinal cramping. It is prescribed thus because of its antispasmodic properties. Because of its ability to treat common conditions such as irritable bowel syndrome (IBS), the drug was in the top 25 most prescribed drugs list in 1976. Today, Donnatal continues to be prescribed to manage gastroenteritis. People using barbiturates often exhibit several signs and symptoms that point towards abuse of the drug. As doctors often prescribe barbiturates for pain and barbiturates for sleep, people using these drugs, even under strict conditions, can still get addicted to the drug. Understanding this reality provides cautionary pause to anyone either currently taking the pills or thinking of taking them. Barbiturates use signs fall into three categories: behavioral, physical and psychological. Excitement: What is a barbiturate high like? This sign exemplifies what it is like. People on the drug are excited and seem to have never-ending energy and enthusiasm. Emotionality: Such people have emotions that swing from one end of the spectrum to the other in short bursts. Seemingly trivial matters often provoke this emotionality. Lack of inhibition: Going full throttle is a hallmark sign of barbiturate addiction. They are willing to try other drugs, engage in risky sexual behavior, among other dangerous actions. Poor judgment: Someone on the drug makes decisions that beat logic. They make them based on whatever fancy is upon them at that moment. Drowsiness: Because of the depressive properties of the substance, a person on the substance experiences extended periods of sleepiness. Confusion: Coupled with drowsiness, they also feel confused, lacking a proper bearing on time and location. This also leads to heightened emotionality. Slurred speech: A noticeable slur is evident in a person high on the substance. The numbing effect of the drug affects proper speech and diction. Poor coordination: The person affected exhibits poor psychomotor coordination. In many cases, they might stumble or trip over objects in their path. Drug-seeking: As with other drug addictions, a person with a barbiturates habit actively seeks out more drugs to feed their addiction. Dependence: Functioning without a fix proves to be a challenge. This is seen in the obvious cravings the person has for the drug. Mood swings: At one moment the person is calm and quiet but then suddenly pivot into an aggressive and noisy mood. These unpredictable mood swings can lead to violence as well. Psychosis: Whether high on the drug or experiencing withdrawal symptoms, a person with the problem suffer from psychotic episodes that get worse over time. The effects of barbiturates are both far-reaching and debilitating. A person on barbiturates undergoes several barbiturates side effects that affect them both in the short-term and the long-term. These effects impact their physical health, mental health, and their ability to function well socially and occupationally. Getting a person on barbiturates immediate treatment is a matter of life and death because of the barbiturates effects on the brain, body and overall well-being of the concerned party. Confusion: When someone takes barbiturates, the immediate barbiturates effects are feelings of calm and lethargy. Shortly after, the person might feel confused as the drug begins to wear off. Vertigo: Vertigo is a feeling of spinning and lacking balance. A person using the drug has this sensation and needs to steady themselves constantly. This also leads to motion sickness. Irritability: The drug also causes a heightened sense of irritability, with the person unable to control their emotions. They might lash out in anger or frustration at the smallest provocation. Diarrhea: Because of the effect barbiturates have on the GIT, a person taking them might experience heightened bowel movement. If unchecked, this can lead to dehydration and even death. Headaches: Brought by the action of the substance on the brain, this becomes a frequent occurrence in those using the pills. While barbiturates are used to relieve tension headaches, they are ineffective in treating other kinds of headaches. Kidney damage: A common outcome of prolonged use, kidney damage occurs because of how the body metabolizes and excretes barbiturates. But how do barbiturates affect the body in this way? Because of the long half-life most barbiturates have, additional doses are consumed before the previous doses have been excreted from the body. This leads to a build-up of the drug in the body, a situation that taxes the kidneys and leads to kidney failure. Brain damage: Repeated use leads to neurotoxicity and brain cell death. Using the drug coupled with times of trying to quit destroys cells related to receptors for the substance. Dependence and addiction: Barbiturates are notorious for causing reliance and addiction alarmingly fast. There are instances where tolerance and addiction have been induced with just one dose. Long-term use, therefore, results in a severe addiction. Accidental overdose: Barbiturates have been linked to unintentional overdoses because of their relative effect on the body as well as their interaction with other drugs like alcohol. Accidental overdoses have been responsible for the most significant number of barbiturate-related deaths. 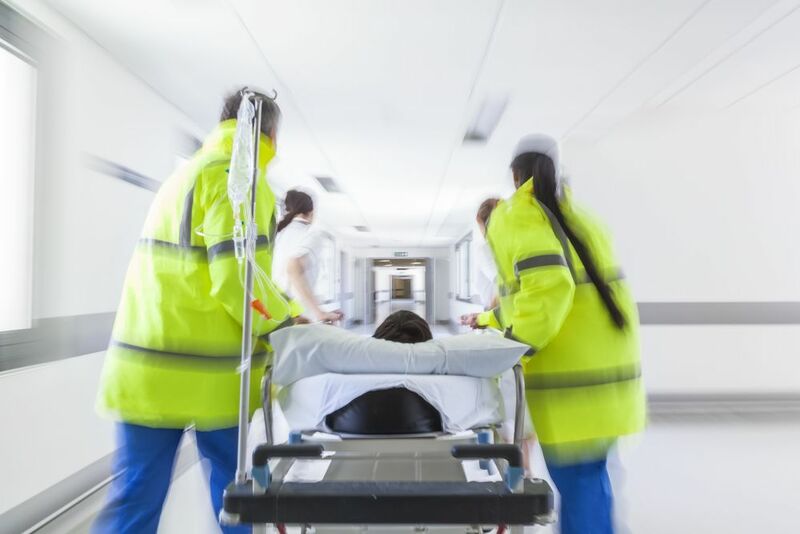 Coma and death: Whether through an overdose or trying to quit cold turkey, prolonged use of the substance carries a more significant threat of coma and death. If a person falls into a coma but comes out of it, they might have permanent brain and kidney damage, which can consequently lead to death. As they are often used as an innocent-seeming prescription medication for headaches and stomach problems, most people are not aware of the dangers of the drug. The relative ease of getting some of these drugs as over the counter pain medication has gotten many a person hooked on the drug without knowing it. The hidden dangers of barbiturates lie in their ability to not only cause addiction but to result in a barbiturates overdose. Many notable figures have died because of overdosing on the drug. These include Marilyn Monroe, Jimi Hendrix, Judy Garland, Alan Wilson, among others. People who find themselves exposed to these pills must approach taking them with extreme caution. Difficulty thinking: When a person has overdosed on the substance, they have trouble processing what they are experiencing. Their speech is also be impeded, and they are unable to take any steps to find help. This is a crucial factor in emergency intervention. Poor coordination: As psychomotor capabilities are compromised, they are unable to maneuver either a vehicle or any other machinery efficiently. They also stumble and fall over often. Someone thus impaired is exposed to added dangers of drowning or being knocked down by a vehicle. Decreased consciousness: While the person might not immediately fall into a coma, they may experience reduced awareness, where they are in a trance-like state with poor clarity. This lack of responsiveness is a hallmark sign of a drug overdose. Use of activated charcoal to prevent the additional absorption of the drug in the stomach. Administration of saline, glucose, thiamine and benzodiazepine agonists such as naloxone to support the body’s efforts to overcome the effects of the drug. Admission to the High Dependency Unit of an emergency center for observation and critical intervention if further adverse symptoms occur. While the person might pull through the overdose, there are chances they could develop secondary adverse reactions such as kidney failure. 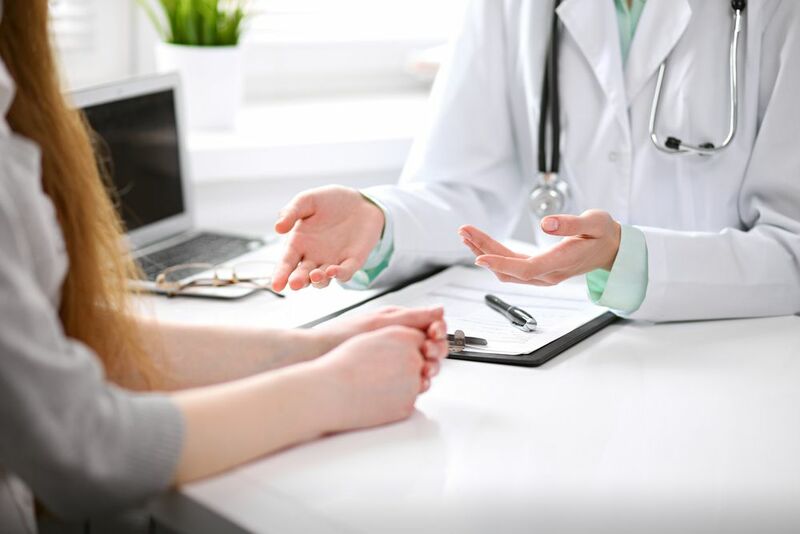 If you or a loved one has experienced any of the side effects of taking barbiturates, seeking professional help will help prevent anything worse from happening. Call us today on (888)-459-5511 to speak with a knowledgeable representative. Barbiturates withdrawal is where an addict undergoes certain symptoms when they discontinue or lower the doses they have been taking. Withdrawals are always the path to recovery but often involve terrible symptoms that can affect the person adversely. As barbiturates withdrawal symptoms can be life-threatening, anyone seeking to get off the drug must not attempt to quit cold turkey or without the assistance of a medical professional. Violent behavior: Changes in the mental state coupled with a psychological dependence on the drug leads to violent behavior and resistance to change. Agitation: Agitation and restlessness also set in as the person’s body have become accustomed to the drug. Insomnia: Poor sleep cycles are also a symptom. The person might also be unable to take any sleeping pills as these could, in turn, worsen the problem. Breathing problems: Shallow breathing occurs as the brain’s centers concerned with regulating breathing have become damaged from prolonged drug use. Respiratory arrest: Perhaps the most severe withdrawal symptom, the respiratory arrest occurs when the person quits cold turkey, and the body goes into shock. Seizures: Seizures occur because of the overstimulation of various receptors in the brain. The removal of the drug, therefore, manifests a different effect in the brain that leads to seizures. Tremors: Shaking hands and an overall feeling of shakiness sets in. A person feeling this also gets bouts of vertigo that combine tremors with feelings of dizziness. Coma: If a person has a high-level addiction, quitting suddenly can lead to coma. Depressed breathing coupled with decreased levels of consciousness combine to cause this. Barbiturate detoxification typically involves the tapering down method in a medical facility. In this method, the dose currently being taken is gradually reduced in a supervised setting. Levels of tapering employed depend on levels of doses that were being taken. If they had been consuming large doses, then the tapering is even more gradual. If the doses were low, tapering could take a few days. During this process, barbiturates detox medications are employed to manage withdrawal symptoms such as seizures, headaches, and vomiting. 24-72 hours: This period represents the highest risk as well as the highest-intensity withdrawal symptoms in the entire timeline. Seizures, coma, and violence tend to occur during this time. Round the clock monitoring is required during this time. Week 1: Mood swings, irritability, and a racing heart characterize this next period. During this time, overall withdrawal symptoms subside, and the threat of death decreases. Week 2: Emotional issues are still persistent, and finding sleep becomes a challenge. They may feel depressed and irritable too. Seizures and other acute symptoms also stop. Week 3-4: Physical stability sets in although psychological challenges such as lack of sleep, moodiness, and irritability are still present. Do Barbiturates Cause Physical Addiction? Medical use of the substance has been on the decline globally because of its active addictive properties. In the 1960s and 1970S, before the effects of barbiturates were well understood, people formed addictions because of the ease with which doctors at the time prescribed the pills. Today, most doctors only use the substance in highly controlled environments and just for one-off uses like anesthesia. While the drug has been classified as a Schedule III substance in the Controlled Substances Act, its ability to cause addiction is magnified by its availability in joint pain and headache medications. As the withdrawal symptoms of barbiturates addiction can be deadly, a person seeking to quit the habit must seek barbiturates addiction treatment at a healthcare facility. This could be a hospital or a rehab center that offers the necessary control mechanisms to help wean the person off drugs safely and sustainably. A person seeking treatment at a rehab center will be offered two ways of undertaking the treatment program: inpatient barbiturates rehab or outpatient barbiturates rehab. Outpatient rehab is only recommended for those with a mild addiction. As the withdrawal symptoms are not severe, the person may access the treatment daily and go back home at the end of their treatment session. Outpatient drug rehab works well for people with a strong support network at home and at work as well as a firm resolve to quit. While the success of the program ultimately depends on the person’s commitment to attend all treatment sessions, this approach offers flexibility to go on with normal daily activities. In some cases, patients transition from an inpatient program to an outpatient program to keep the recovery momentum going. Outpatient attendees can similarly transition to support groups outside the facility or schedule post-detox counseling sessions. While popular barbiturates are easy to get, and anyone can score some barbiturate pills for some little cash, the dangers of taking the drug far outweigh the benefits. Barbiturates adverse effects not only rob a person of their normal life and health but quitting the drug also comes with its version of terrible problems. Keeping this in mind, where to get barbiturates ceases to be the vital question, and is replaced by why get barbiturates? Are they worth all the trouble? Are they worth the deadly side effects and withdrawal symptoms? For anyone caught in the vice, choosing to change course today and seeking immediate treatment can be a life-saving action. Getting addicted to barbiturates is a life-threatening condition. To get immediate help for yourself or a loved one call (888)-459-5511 today to speak with a knowledgeable representative.